The book 'Holistic Principles of Ayurvedic Medicine' written by the well known author Professor Ram Harsh Singh is a complete and comprehensive treatise on the subject. 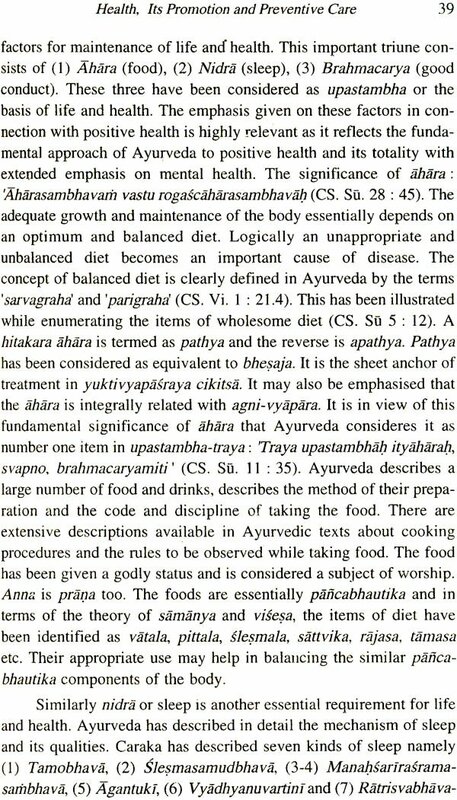 This is the first book in English which deals with the subject in all completeness and clarity covering all aspects of the fundamental principles of Ayurveda, its unique approaches and the details of clinical medicine, diagnostics and therapeutics of Ayurveda. Separate Chapters have been added on aetiopathology in Ayurveda, methods of Ayurvedic diagnosis and treatment including Pancakarma Therapy, Rasayana and Rejuvenation, Geriatrics, Ayurvedic Psychiatry, Ayurvedic Materia Medica, Biomedicine and Bio-energetics. 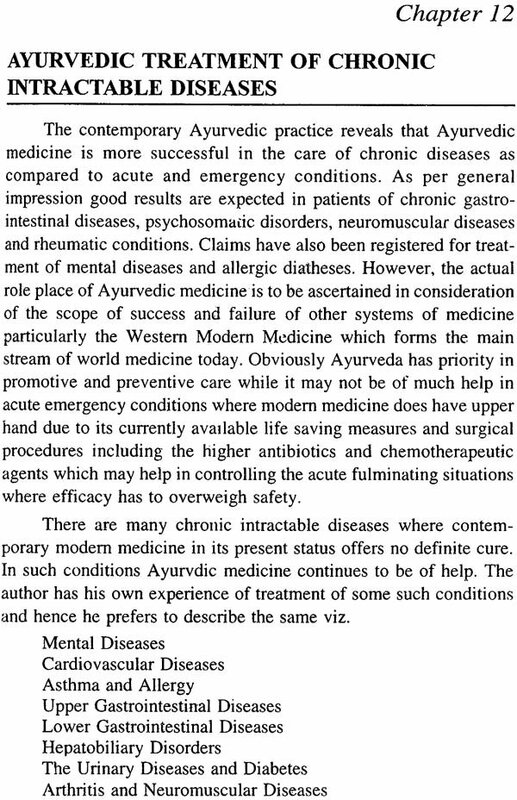 Most valuable information is presented in the chapter on Ayurvedic treatment of chronic intractable diseases. In the end of the book is appended with a write-up on Recent Advances in Ayurvedic Medicine extracted from the synopsis of First National Conference on Kayacikitsa organized by the author, besides a comprehensive bibliography, a descriptive glossary of Ayurvedic technical terms and an exhaustive word index. The author of the book being a senior Professor of Ayurvedic Medicine in the University system and being a reputed physician and researcher, this book has been richly benefited by his scholarship and professional experience. This book is a rare blend of conceptual authenticity, linguistic clarity and scientific temper. Born on January 10, 1942 Professor Ram Harsh Singh graduated in Ayurveda with Medicine and Surgery from prestigious Banaras Hindu University in 1961 with throughout top rank career glittering with several medals and prizes. He did his Ph.D. from B.H.U. under the guidance of his illustrious mentor Padmashri Professor K. N. Udupa. Subsequently he did his D. Litt and was awarded Doctorate of Medicine Honoris Causa by Medicina Alternative, Alma Ata in 1983. He was elected Fellow of National Academy of Indian Medicine in 1978 in recognition of his outstanding contributions in the field of Ayurvedic Medicine besides many other awards and prizes including Hari Om Ashram Award, Purna Swasthya Award, Capt. Srinivas Murthy Medal etc. Prof. Singh joined the Faculty of Ayurveda at Banaras Hindu University in 1964 as a lecturer and is now the Seniormost Professor and Head of the Department of Kayacikitsa at B.H.U. He is the Chief Ayurvedic Physician at University Hospital. 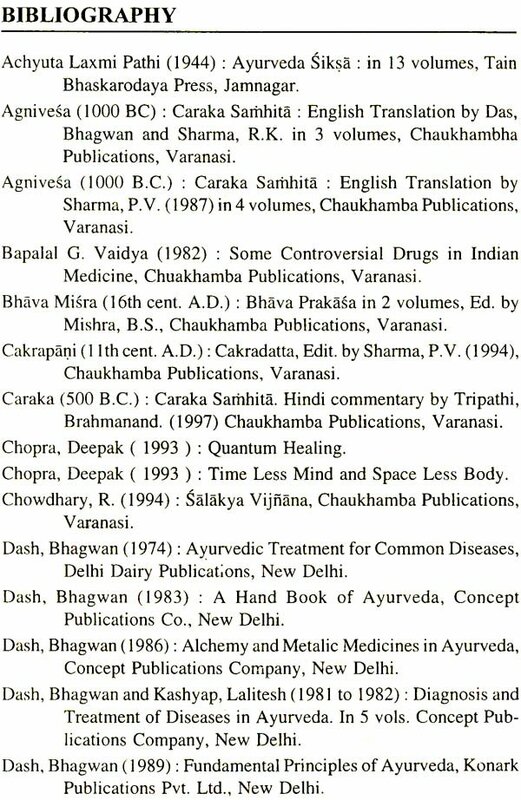 In the capacity of a reputed Ayurvedic physician, a capable teacher and an outstanding researcher Professor Singh has published about a dezon standard books on Ayurveda and over 200 research papers. He has contributed chapters to the prestigious volumes on History of Medicine in India & History of Technology in India published by INSA. He has produced 50 MDs and 25 Ph.Ds under his guidance. He is the expert member of several committees and learned societies in India and abroad. Prof. Singh has widely traveled throughout the world to promote Ayurveda and Holistic Medicine. He presided over the Seventh World Congress on Holistic Life and Health held in May 1997 in Italy.
" The internal prana of man when united with the external prana, it holds, by equilibrium and non-antagonism, the physical body com- posed of panca mahabutas". Purusa (person) stands on the tripod of sattva (mind), atman (Soul) and serira (body). It is to be noted that in atman is associated with mind on one side and with body on the other. This, on the theory of interaction of body and mind, prepares the foundation of the psychosomatic approach. Every disease having its origin in mind or body has its impact on the counterpart. Caraka, while defining the specific symptoms of fever, says that 'santapa, on psychosomatic level, constitutes the same. On somatic level, it is pyrexia while on psychic level it is represented by distress. 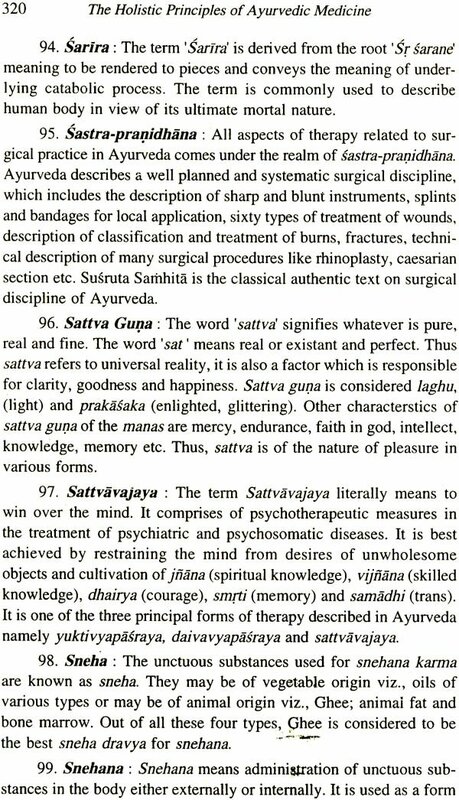 Even in surgery 'salya' is defined as 'that which causes distress in mind and body.' In such situation, the pathology could be grasped only by con- sidering the person as a whole and not by analysing it in parts. 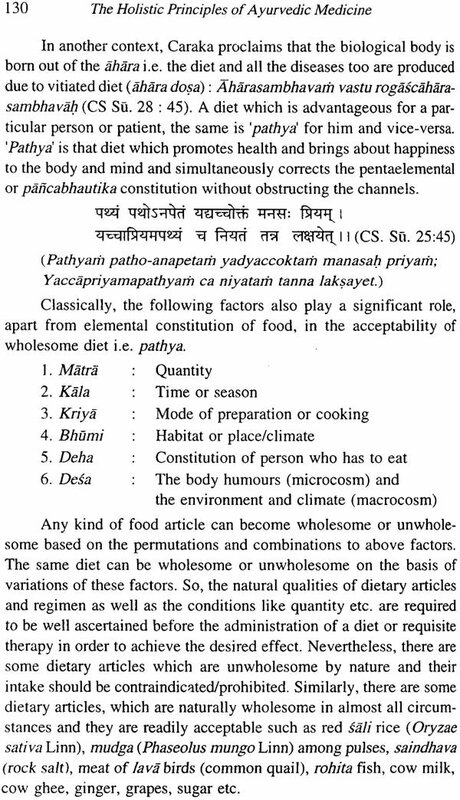 'Healthy' is termed as 'svastha' in Ayurveda e.g. one who stays in his 'sva' (self). 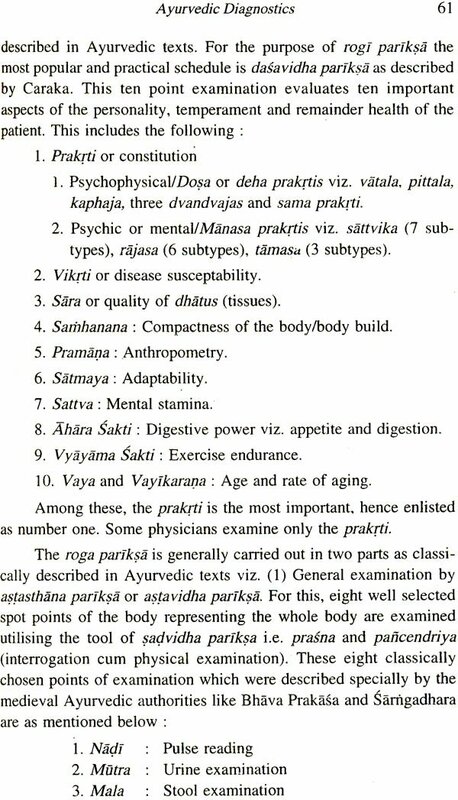 This' sva' involves the total personality of man compri- sing of consciousness, body and mind that is why the definition of health (as given by Susruta) covers all these dimensions and as such is regarded as the most perfect definition of health. 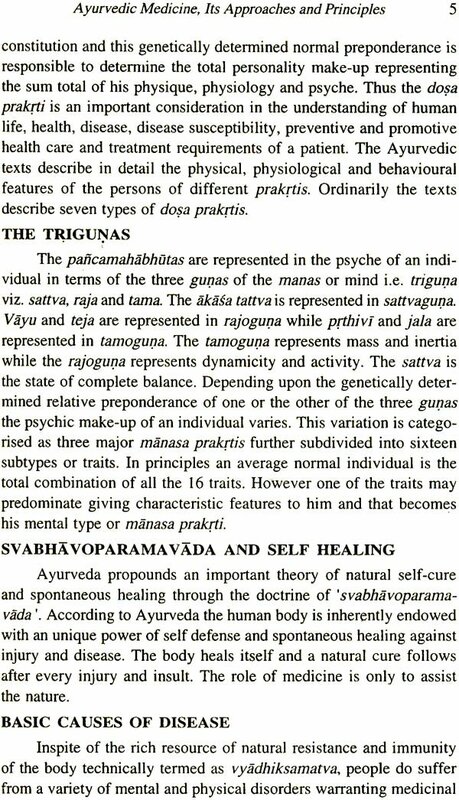 'sva' also denotes prekrti (constitutional normalcy) which makes' svastha' and 'prakrtistha as synonyms and quantum of 'sva' varying from person to person. When 'sva' is deranged, disease occurs which upsets functio- ning at all levels. Physician, with holistic approach, diagnoses the disorder and makes rational efforts to combat it in order to restore normalcy. That is why cikitsa, in Ayurveda, is known as ptakrti- sthapana - that which restores 'prakrti or 'sva' (normalcy). With the same idea, some physicians recommend to apply all the three types of therapy (godly, rational and psychological) simultaneously and not optionally so that the disease is attacked on all fronts. The manage- ment of the case is also based on the holistic approach to drug, diet and activity. It would be unwise to try in vain to tackle the disease by drug only. 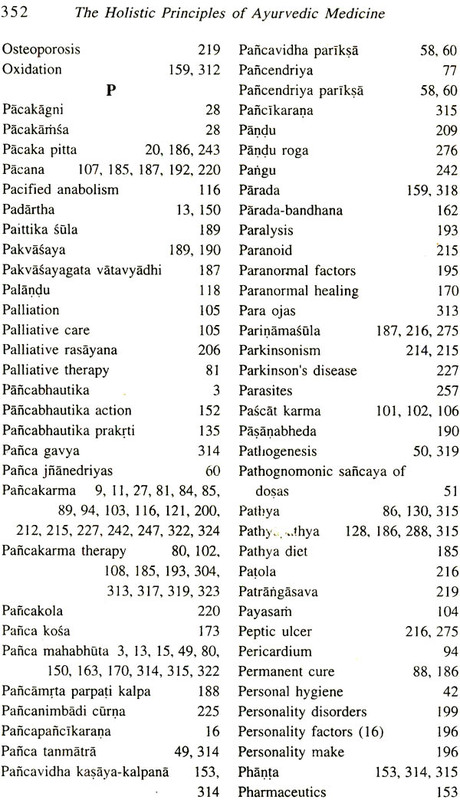 That is why 'pathyapathya has developed as a distinct branch of medical literature in Ayurveda. 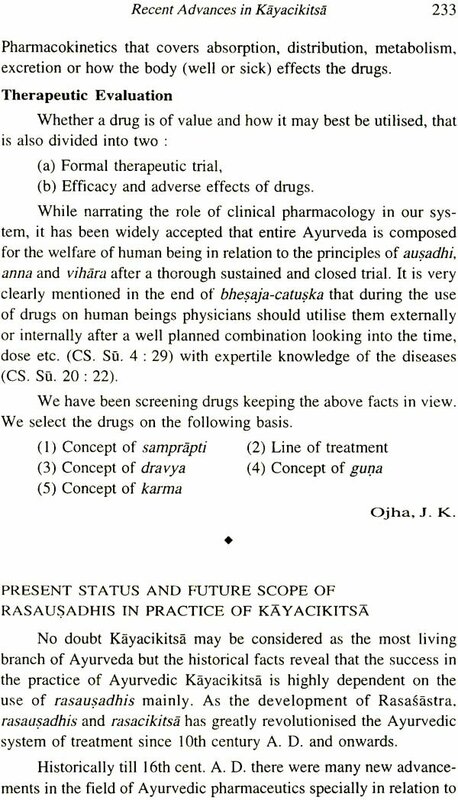 In administration of drugs too, Ayurveda holds the holistic approach. 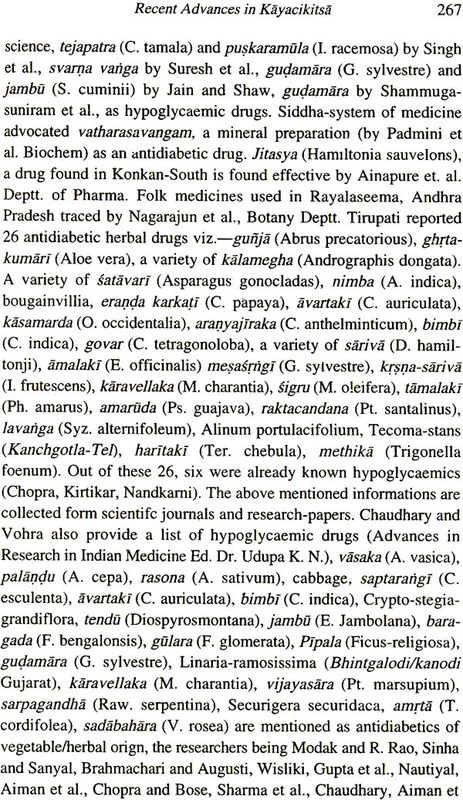 The total drug is given in various forms so as to interfere in the least with the natural composition and action. When fraction is isolated, it acquires pin-pointed action but also develops risk of creating adverse side effects. As this type of treatment is always discouraged by Ayurveda because it believes in total and positive health, administration of total drug is always preferred as it contains various fractions in balance with the least chance of adverse effect. Thus holistic approach is the special feature and backbone of Ayurveda. Prof R.H. Singh has made a great and timely contribution by highlighting this aspect in the present book. Besides, he has also dealt with the basic tenets of Ayurveda which would enable the reader to grasp the technicalities of Ayurvedic therapeutics. 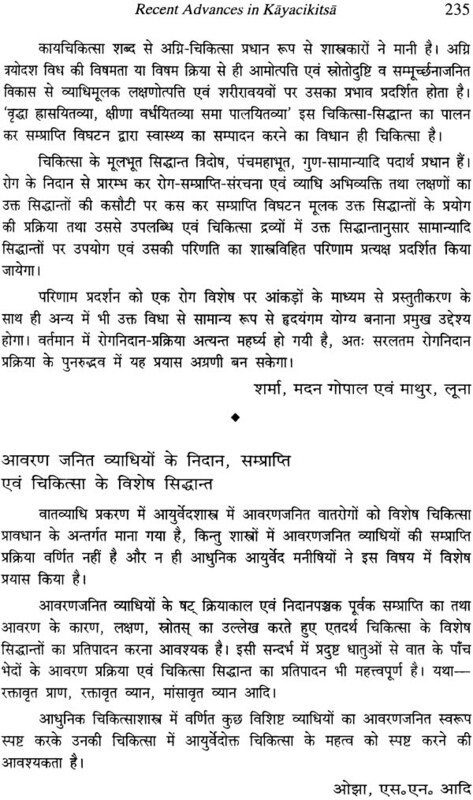 I congratulate Prof. Singh for this splendid achievement and magnificent contribution to the Ayurvedic literature. Ayurveda is one of the most ancient systems of medicine in the world. 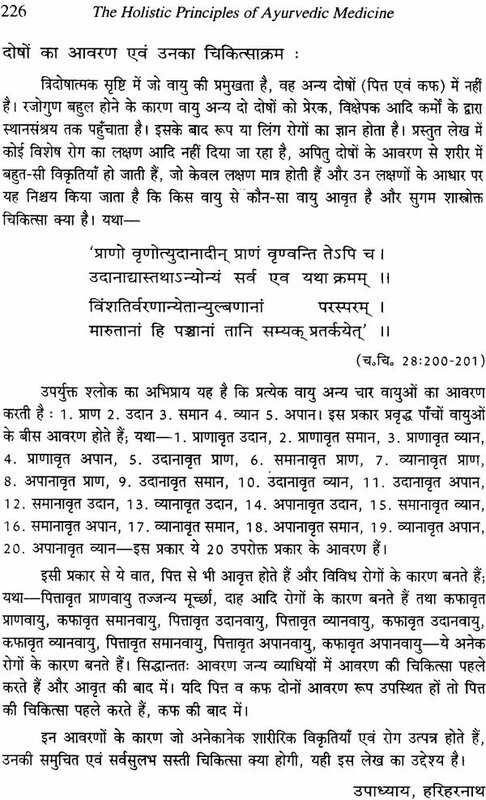 Its origin goes back to the sacred Vedas which are considered the oldest scriptures on the human wisdom and civilisation. 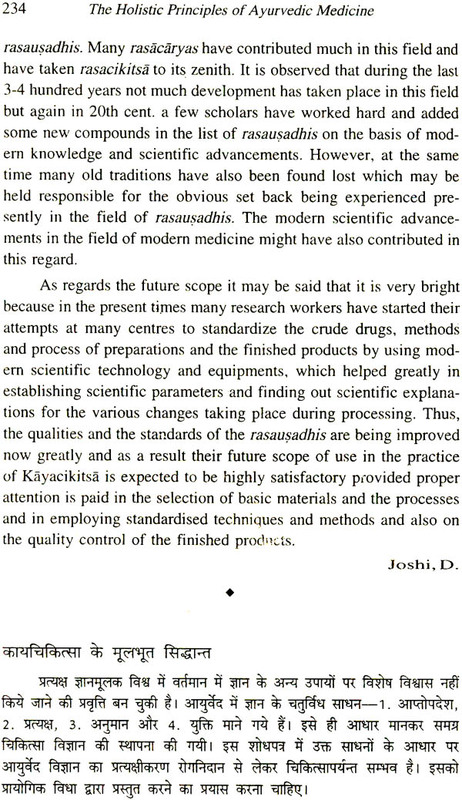 Ayurvedic Medicine was already a highly developed medical science with its rr:anifold specialised practices in pre-Buddhist era before the dawn of Christianity. 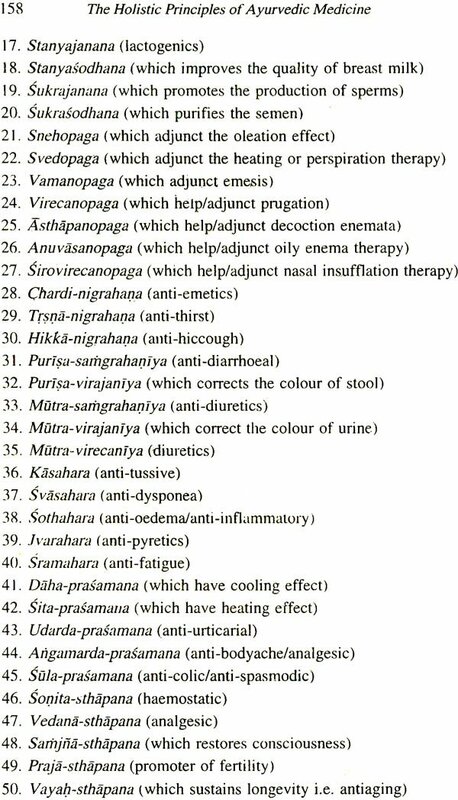 There are evidences to suggest that Ayurveda was not limited in India and had also spread in several other parts of the world in some form or the other. Following the classical age Ayurveda seems to have flourished well till the medieval period, after which followed the phase of decline of Ayurveda and its practice similar to other aspects of Indian Art, Science and Culutre due to political rea- sons. 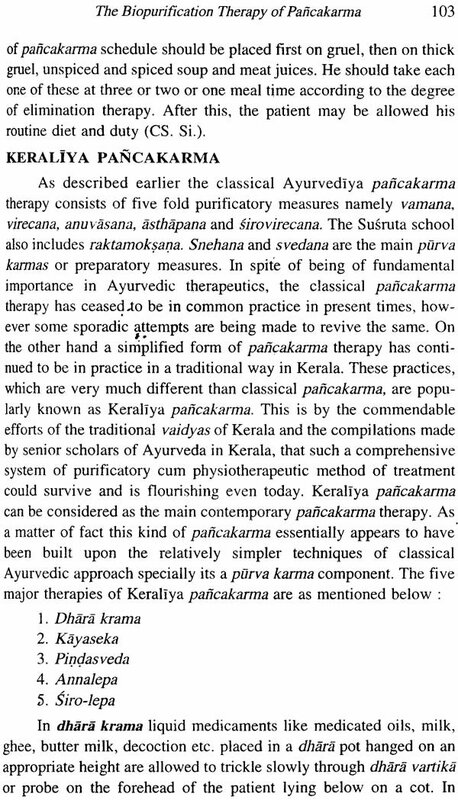 However, the last fifty years have proved important towards revival of Ayurveda establishing it as one of the major official sys- tems of Medicine in India and certain other south east Asian coun- tries with noticeable upsurge of interest throughout the world. With the growing global interest in Ayurveda there. 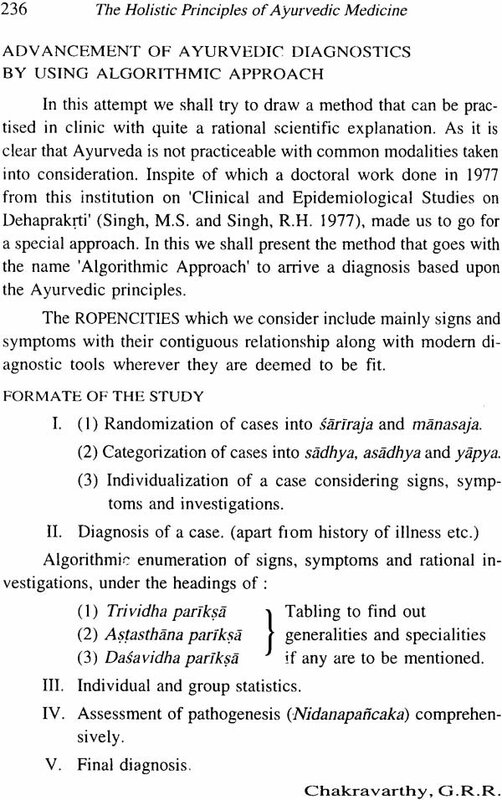 has been increasing demand of authentic literature on Ayurveda suitable for the first reading of the informal seekers interested in the study and practice of Ayurvedic Medicine. In recent years several books on Ayurveda have been published in English and certain other Euro- pean languages besides the English translation of the Ayurvedic clas- sics like Caraka Samhita, Susruta Samhita etc. The author of this book jointly with Late Prof. K.N. 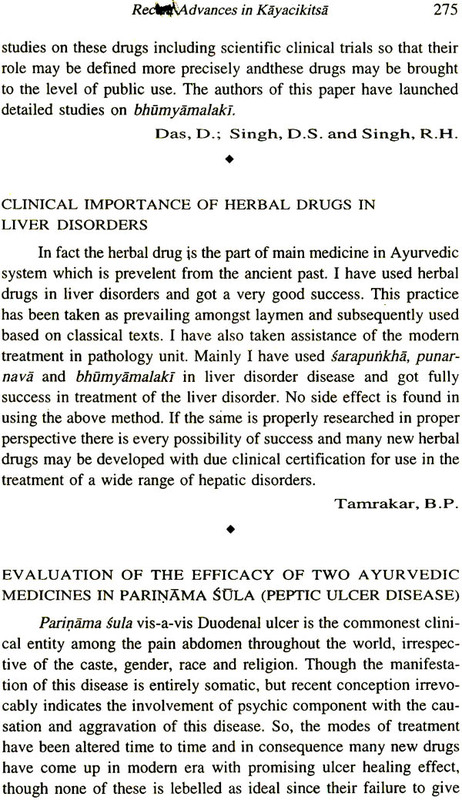 Udupa edited a book 'Science and Philosophy of lndian Medicine' which continues to be a good hand book on Ayurvedic Medicine for over two decades. 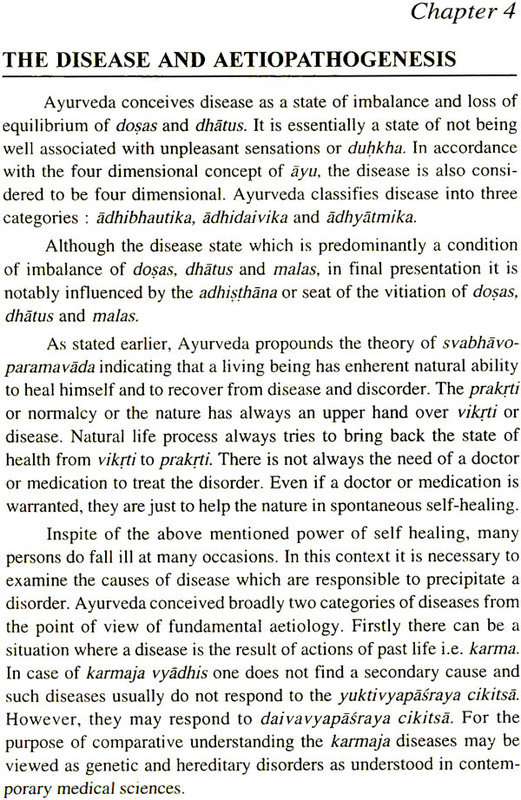 During last few years the revival activities in Ayurveda including Postgraduate Edu- cation and research and interaction with-other systems of medicine and readers from different sections of society and nationality has lead to lot of clarity in the priorities and perspectives of contemporary Ayurvedic Medicine. Such advances prompt to the need of produ- cing newer literature incorporating the recent advances in terms of conceptual and strategic clarity and scientific development. It is with this background that the present book was launched. 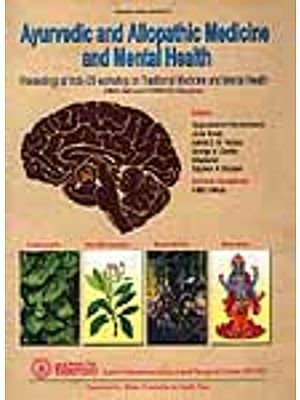 This book is presented with chapters on Principles and ap- proaches in general, concept of disease and aetiopathogenesis, Ayurvedic diagnostics, promotive and preventive measures of Ayurveda, the purificatory therapies, Ayurvedic materia medica, methods of rejuvenation and virilisation, Ayurvedic treatment of in- tractable chronic diseases and recent scientific advances. The book is supplemented with an uptodate bibliography on the topics covered alongwith an extended glossary of technical terms of Ayurveda with descriptive definitions. 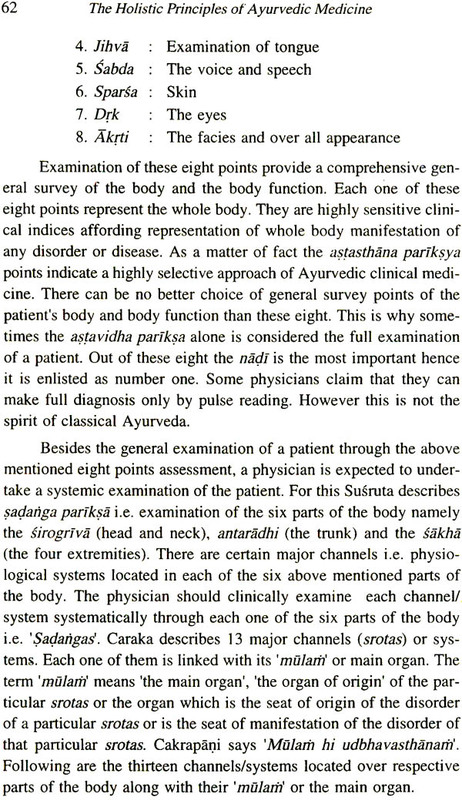 All topics have been written with emphasis on the uniqueness and distinction of Ayurveda from conventional orthodox western modem medicine with an attempt to evaluate the relevance and validity of the same in modem times. The author of this book being teacher, physician and researcher in this field has had the advantage of utilising his professional expe- rience with Clinical Medicine of Ayurveda in compiling the present work. 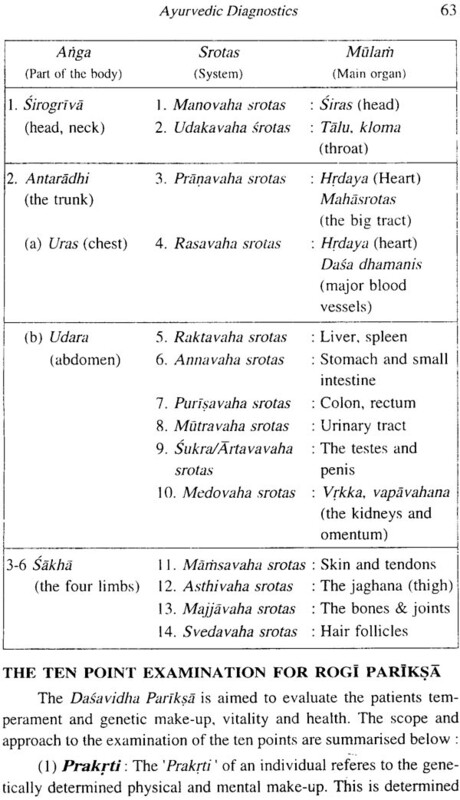 It is hoped and believed that this small effort will prove to be of some benefit to the prospective readers to prepare them to enter into the vast ocean of the unique knowledge of the ancient science of life and medicine as propounded in Ayurveda. While compiling this book I received invaluable help from my postgraduate students who kept me on developing the subject with due rationality and clarity by putting accross a variety of questions in the classrooms and departmental seminars. Most of the time such active participation opened newer dimensions of consideration in developing the conceptual clarity and relevant clinical applications. I take this opportunity to thank all the resident doctors who worked for their specialisation programme under my supervision during the last five years. Professor P.V. Sharma anoted scholar of Ayurveda has written the foreword for this book for which the author is grateful. This book is dedicated to the unfading memory of my revered benevolent teacher late Prof. K. N. Udupa who always inspired me to work for globalisation of the useful knowledge of Ayurveda beyond its professional and national boundaries for the betterment of the World Medicine of today.